And as far as these dashing performers could go on a unicycle, it wasn’t far enough, so they bought a bus and began to tour regional New South Wales. This was where the oh-so-appropriate hazard stripes were born which became iconic imagery for Circus Monoxide to this day. This bus became centrepoint for many a show, but also the transport AND bedding for the vagabond circus folk. With props and costumes storage, a kitchen and living space downstairs and 8 bunks upstairs, this was home and show for performers and crew. For some reason, unbeknown to most, the lure of eating, sleeping and showing from a single rickety vehicle appealed to more and more circus-loving lunatics. Between 1996 and 2000 the cast doubled, the equipment more than quadrupled and the calibre of theatre touring NSW and now Queensland & Victoria in a hazard striped prone-to-break-down bus skyrocketed. We had to buy some more rickety buses to carry them all. From 1997 to 2001, Circus Monoxide performed their outdoor show along pretty-well the entire Eastern Seaboard of Australia, from Kuranda in far north Queensland, to Apollo Bay on the southern coast of Victoria, out in Bourke and Lightning Ridge, and in the centre of major cities, with appearances in all sorts of festivals and other events. In the year 2000 Circus Monoxide established a permanent training facility in Bellambi (a suburb of Wollongong), with support by Arts NSW with Wollongong City Council providing the space, Circus Monoxide found it’s first concrete home. As the performers evolved and developed, so did Harvey, the bus. In a genius idea known as the Leylland Swiss Army Knife Bus Project, funded by Australia Council, we chopped off the side of our bus and installed a hydraulic opening device so it could open and close on stage, housing a full band and being able to run motorcycles darting through various windows, as you do. It was still the basis for so much of the performance and became central staging for the open air touring shows to come. Circus Monoxide was getting bigger and quickly! Following a brief spout of borrowing a big top from Melbourne based wonders, Circus Oz, we thought it was time to invest. With glorious help from Arts NSW, Circus Monoxide purchased their first big top in 2004. Hoorah. It took a while for us to actually let go of the bus even when we had a big top. It wasn’t just a performance prop after all, but had become home for us. Acts developed and evolved. Legends came and went and wondered, bearing hazard stripes, throughout Australia causing mischief and inspiring lunacy in whichever corner they found themselves in. 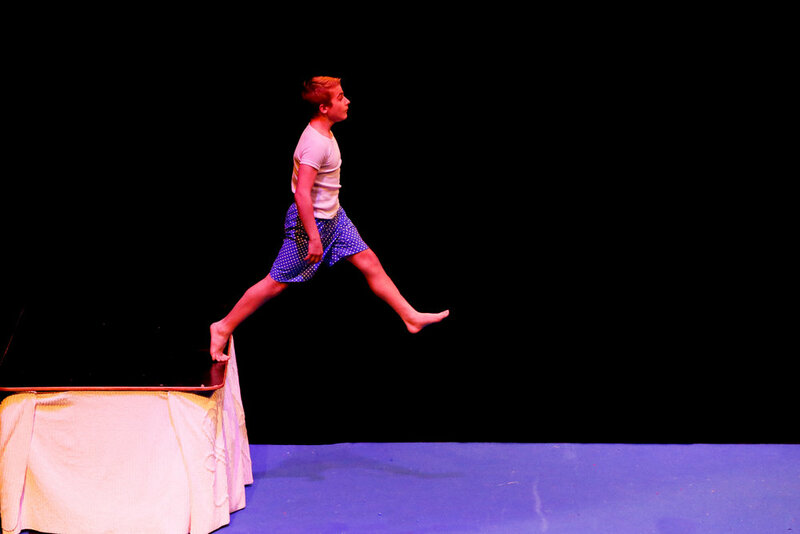 In 2007 Monoxide merged with local youth circus school known as Half High Circus, and continued to be an integral part of Wollongong’s circus community. In 2008 we had to leave our beloved home in Bellambi. Thanks to support from Wollongong City Council, Circus Monoxide found a new space in Fairy Meadow, which seems to have no fairies, or indeed meadows, but now one hell of an awesome circus training space. 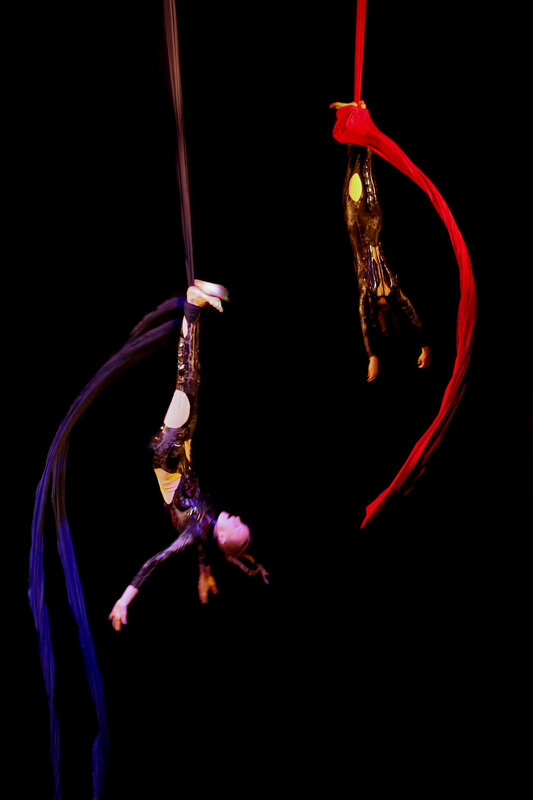 In 2008 we started to move towards a theatre based circus show known as superb & broken. It was a huge thrill to adapt to changing theatre spaces. 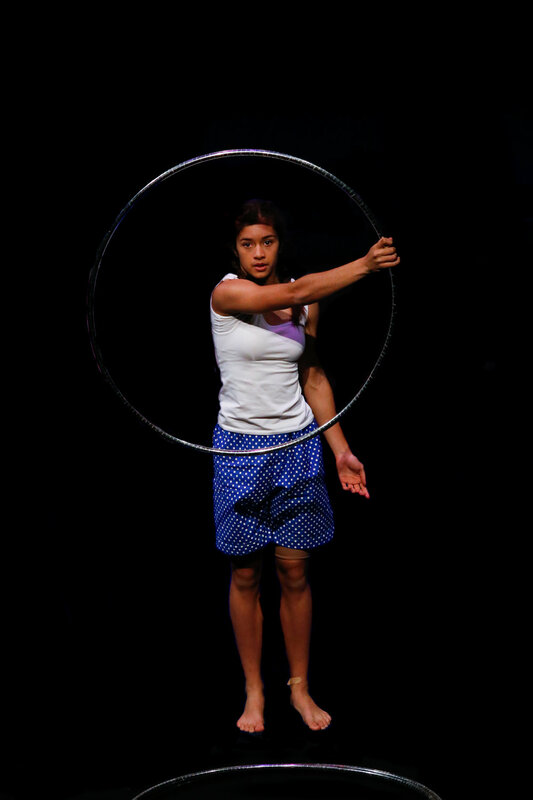 The development of superb & broken has been supported by the Australia Council, Arts NSW, Merrigong Theatre Development Program and Bundanon Arts Trust. In 2009, Monoxide formed a group known as Harvey’s Troupe – a group of emerging professional artists aged 18 -30, whose skill and talent are matched only by their enthusiasm and energy. Circus Monoxide’s outreach program has also developed. Monoxide reach into the community to teach circus to those who would otherwise not have the opportunity, or as part of their own community groups. In 2010, over 28,000 people attended our outreach workshops. The Monoxide Circus School runs from our Fairy Meadow warehouse 6 days a week teaching all ages and all skill levels. Since 2011, Monoxide have done collaborative performances with Fling! 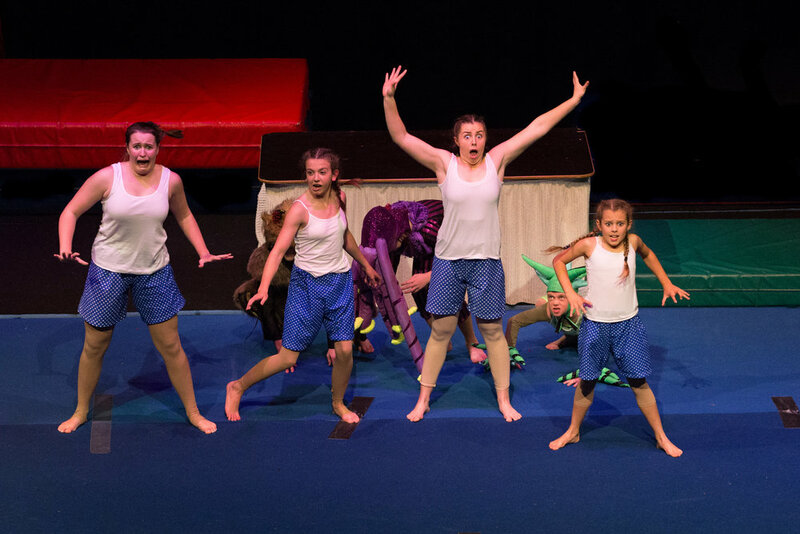 Physical Theatre from Bega, Flipside Circus in Brisbane, Ruccis Circus from Melbourne and Corrugated Youth Arts in Darwin. We perform regularly, and now have a regular cabaret, 'The Lab', and perform annually at Wollongong's Speigeltent season. Circus Monoxide is now also a performance venue. In 2016, we were lucky to receive a donated retractable seating stand from Flipside, and with Spaghetti Circus' help, managed to bring it down from Brisbane and reassemble it over a long and hard weekend. And there is more in the pipeline that will be announced soon. We have also developed the training space. In 2016 we received a grant from Win/Bluescope that allowed us to increase our aerial truss, and the number of aerial classes, and through many working bees, we have increased the training space so we can accommodate more students. Monoxide has continued to sponsor disadvantaged students into tour classes. We also run programs for a variety of communities. We provided support to refugee children in Fairfield and Liverpool from 2015-2017, and are now setting up a similar program in Shellharbour, with the help of Barnardos. We also run a program with the Flexible Learning Centre, which supports young people who no longer attend mainstream school. Look for these students at Viva la Gong, as they are going to perform there in 2018. We are also increasing our service to people with autism, through a number of programs and in 2017, became an NDIS provider. In 2018, we have started a few new programs, that we hope will become traditions. Our performance troupes have gone to aged care facilities twice to perform for the residents and their families. Our mainstream classes, for the first time, contained a program designed for children with autism. And finally, we performed at Southern Stars - An Arena Spectacular. We hope that these new traditions continue. 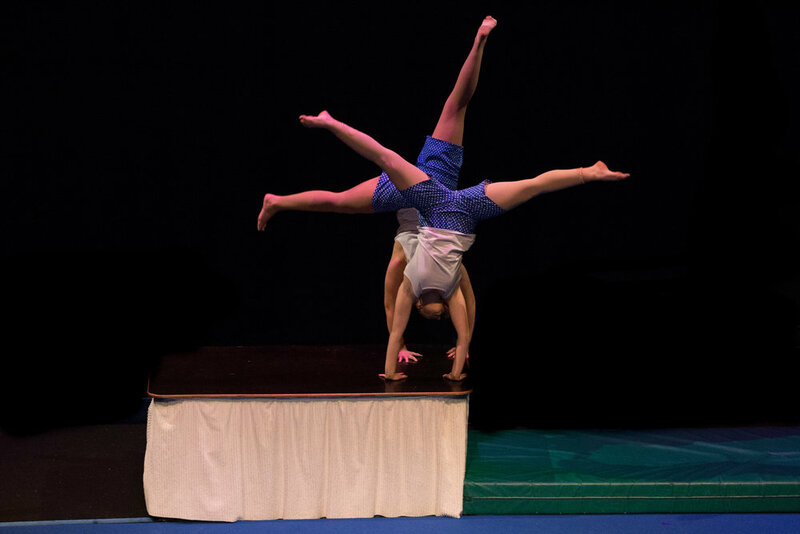 Through funding received from organisations and local businesses, not to mention the amazing work, skill and dedication of performers, trainers and local circus community, Circus Monoxide has seen its humble self evolve into what it is today, fulfilling all of our ridiculous circussy dreams.